US LNG Export Industr:y Maps and Natural Gas Free Trade Countries Deep Utica Dry Gas- Emergence of a "super" productive shale play. SCUD missle attacks from Yemen into Saudi Arabia. Based on published reports, Saudi Arabia has used its anti-missile systems to shoot down SCUD missiles launched from inside Yemen. The following panel contains an interactive 3D map showing significant missile attacks on Saudi Arabia. It is intended to help provide geographic context relative to important oil and gas producing regions and infrastructure in Saudi Arabia. To use the map, rotate it using the left mouse button, zoom using the mouse wheel, and control the viewing perspective using the right mouse button. To view news articles about the attacks, click on the yellow sphere beneath the target names. Then click on the links in the pop-up. 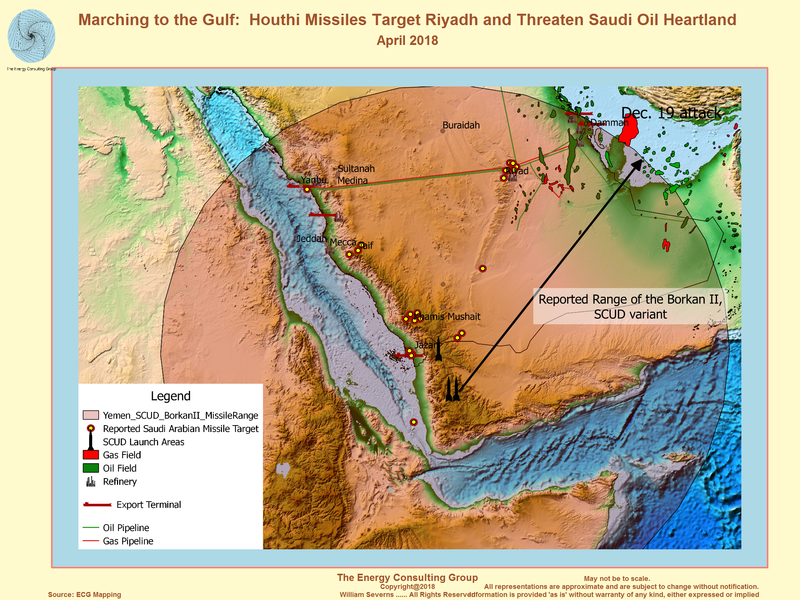 Link to full screen version the rotatable, zoomable 3D missile attack map of Saudi Arabia shown in the above panel insert.